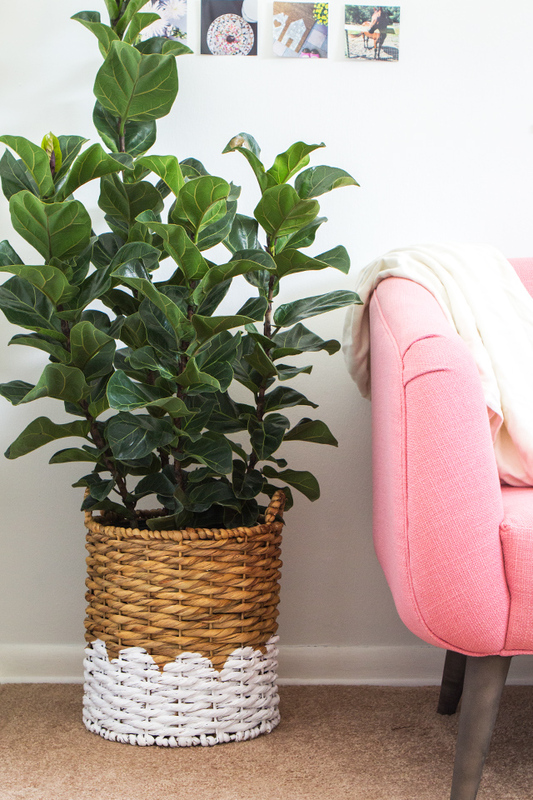 I finally found a fiddle leaf fig (say that 5 times fast)! After searching online forever I stumbled upon this little leaf plant at a local garden shop. I must say it was love at first sight! When I brought it home I knew I had to create a cute little planter for it. I adore mixing natural textures with bright colors, like I did with my painted wood bangles, so I thought it would be fun to use a woven banana leaf basket and paint a pattern on it. My go to pattern is scallops so I grabbed some paint and got to work. Watch the video above to learn my trick to painting a perfectly spaced and straight scalloped border and see a Daisy the hound make a brief appearance. If you love watching video tutorials, subscribe to my YouTube channel for more DIY goodness! Love Lukas! I’ll have to go there and check out their stuff, it’s been far too long since I’ve been exploring. The planter turned out super cute! I’m going to need you to decorate my house one day! 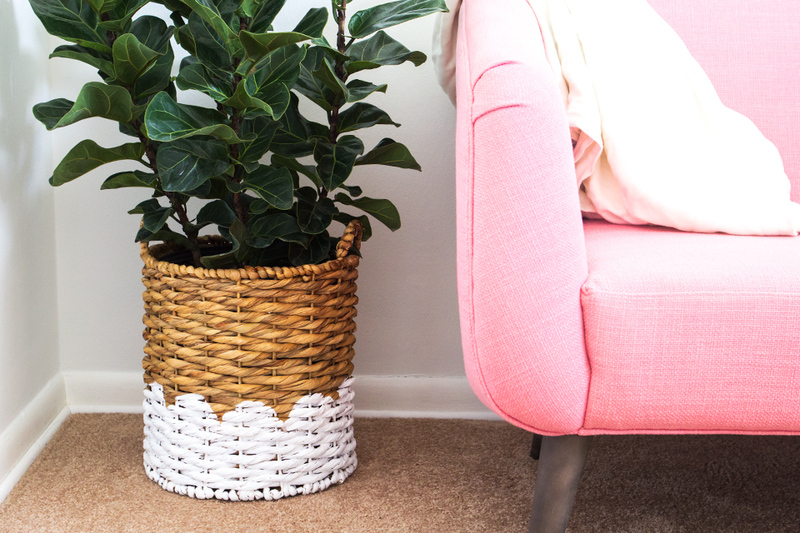 Love the idea, the basket and the plant look very good together. Also loved your dog showing us the final result. Thanks for sharing.